This was suppose to go up a couple days ago, but I was busy, so here you go. One of the cooler moments in writing is when you receive a contributor copy. 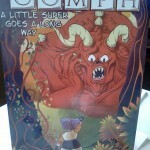 Given that much of what I sell now is sold to online magazines, I’m not getting quite so many print copies as I once did, but last week I received my copy of Oomph, a superhero anthology that my story ‘Great White’ is in. 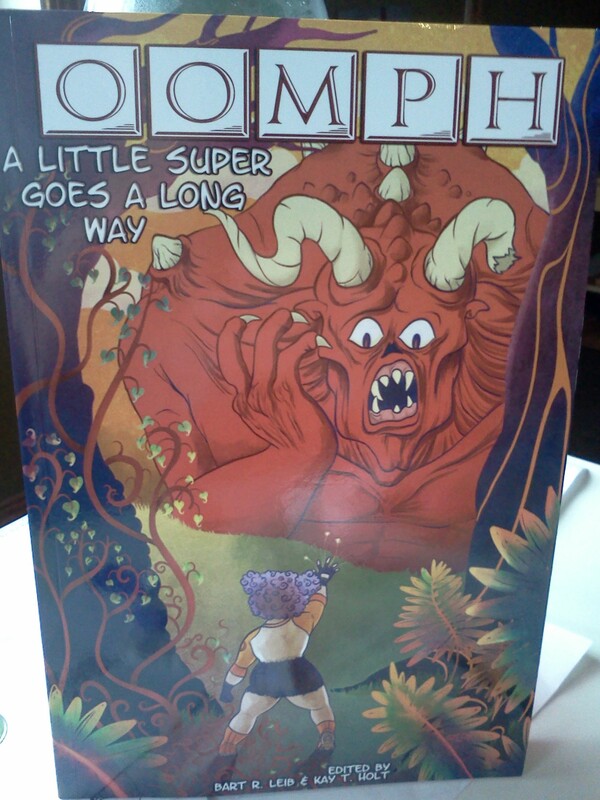 There’s a great lineup of stories in this and the quality of the book itself is nice too. There’s also a Kindle version if you prefer electronic copies. 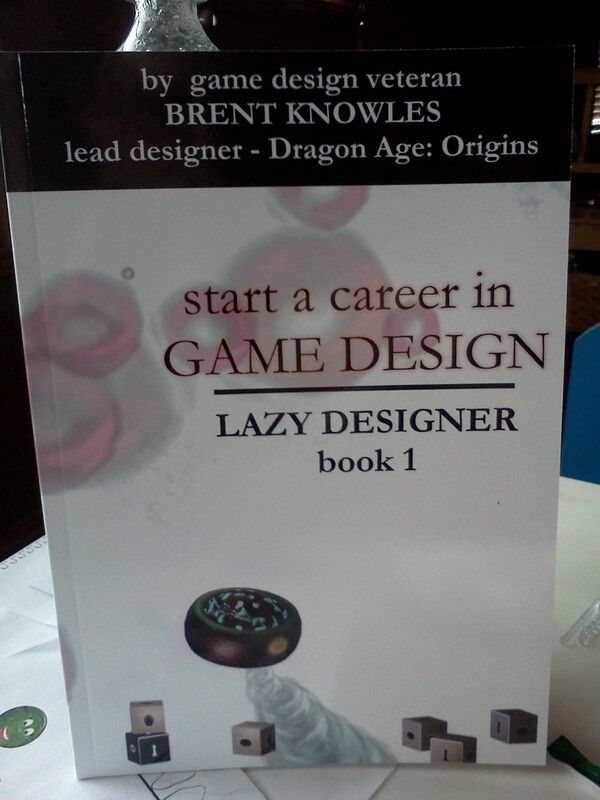 I also received my “proof” copy for the print version of Lazy Designer: Start A Career in Game Design. 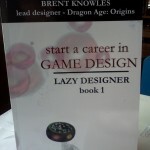 Note: Amazon hasn’t merged the listing for the Kindle and paper versions of Lazy Designer #1, but I’ve put in a request for them to do so. Note2: I should note that the CreateSpace process, while time consuming, was fairly well guided. It wasn’t that I didn’t know how to do something, it’s just that it took a while to get things working, especially the cover.